Karen Lynch has been CEO of social enterprise, Belu Water, since 2011, having previously pursued a corporate career including Emap plc and Barclays. Under Karen’s leadership, Belu launched a new business model focused on exemplifying environmental standards in the industry and investing all profits into the charity WaterAid. Belu offers the most ethical choice in water service from bottled mineral water to filtration systems, refillable bottles and carafes to the UK's Hotel, Restaurant and Catering sector. To date, the business has given over £3million to WaterAid, transforming over 200,000 lives worldwide with access to clean water, decent toilets and good hygiene. 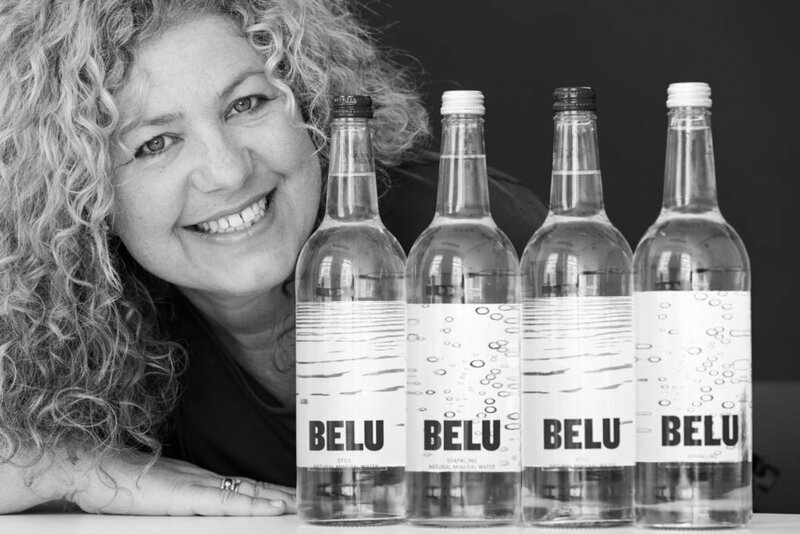 With Karen at the helm, Belu has been recognised with many awards including The Queen’s Award for Enterprise: Sustainable Development for championing the environmental benchmark in the sector, innovative design and the partnership with WaterAid. Most recently, Belu won best 'Supplier of the Year' at the Sustainable Restaurant Association's Food Made Good Awards 2018. Belu was the first (and remains the only) UK drinks business to achieve the independent British Standard Institute's carbon neutrality standard, PAS 2060. Karen’s personal mission is to inspire others that there is ‘a better and kinder way to do business’, ‘that through business, we can solve some of the world’s problems at the same time’. Karen has received several leadership awards and is an active mentor for social enterprise leaders. She is also a board member of Homes for Good, Scotland's first social enterprise letting agency, and Social Enterprise UK, the leading membership body for social enterprise. Karen shares her journey turning a struggling charity into a hugely impactful premium social enterprise brand. [Karen Lynch] - My early career began in advertising and I became a magazine publisher. I loved it. 13 years publishing specialist magazines and everybody that I worked with was living their dream. You know, the people on the horsey magazines are passionate about horses. Those on the golf magazines excited about golf. And from there, I moved into finance, where I worked for six years in Barclays and the retail bank. Not quite so much fun. Basically five, six years into that, I started asking people what their purpose was. I don't know where it came from, I guess a sense of personal dissatisfaction about where I was going to go next and I didn't know what next was, but I knew that I wanted more purpose and decided that life was too short. A few things happened in my personal life to remind me of that. I decided to leave Barclays and figure out what I was going to do next when I'd actually create some time to do that. So very supportive husband in the background, to say ‘go on, now's your turn, figure out what it is.’ I drew up a shortlist, which ranged from working for charities, to maybe retraining as a midwife or becoming an organic pig farmer. Maybe retraining as a vicar, at which point my husband started to tear his hair out and said "well, why don't you start by figuring out what you're good at and how you could apply those skills differently." And to this day another one of my mottos is "find out what you're good at and do something good with it." I was very lucky to come across Belu back in 2009, which at that time was nothing like the business that you see now. It was a campaigning brand and it was struggling with a lot of legacy debts. I looked at that and I could see my space and I wrote a business plan of how that troubled business should stop and start again. And I accidentally became the CEO. Once you spot Belu, you can't move through life without seeing Belu. We're the natural mineral water brand that you will see served in all of the high-profile restaurants and the main restaurant chains in London and in the UK. I think at last count we're in 8 of the 20 largest chains, so doing really well in terms of market share, but also in anything that's top end. We've purposely positioned ourselves as a premium brand because we wanted to be able to have a business model that was viable. We needed to make profit to be able to invest in our social impact, but also into making sure from an environmental perspective our product is the best that you can get with the lowest footprint. In my experience if you're pioneering in the environmental space, initially things cost a little bit more. But essentially if you work with Belu, whether you choose to buy natural mineral water, or whether you've moved away from single-use completely and you're using a filtration system and refillable bottles, you get a promise of the best environmental proposition and all of the profits that we make go to WaterAid. And you mentioned early on 3 million pounds to date… well actually, as of the year we've just finished, we hit one of the biggest goals that we ever had, which was, ‘what if we could do a million pounds in one year?’ and 2018 was the year in which we've done that. We don't officially announce that until March 22nd, so if you're listening to this, keep it quiet until then. One of the values that we have as an organisation is we invest, we don't spend. So that makes us think very carefully about what you do. And actually when it comes to our profits, we think in the same way. What's the best way to invest these profits and have an impact in the area of eradicating water poverty? Now in the very early days, we did build our own dam working with local partners. We did do various other things in trying to bring that to life, and when we benchmarked ourselves against the WASH (Water, Sanitation and Hygiene) sector, actually what we found was that was highly inefficient, and if you can spread an organisation too thinly, you can't be good at everything all at the same time. And when we approached WaterAid to ask if they would work with us and be their partner, it was a big leap of faith for them at the time. But we were really clear once we looked at their work and detail that they are the experts in wash. Taking our own team out and digging a well just isn't going to compare with the return on investment in terms of lives transformed that we'd get through working with WaterAid. And I think for me personally, partnerships and collaborations are just a much more positive way of doing business. Inspiring more businesses to look around and sometimes see people that would have been competitors as collaborators, is a really good way to counter think and change some of the traditional ways we do things, and through that, reduce our impact on the planet and increase our positive impact on the planet. I think the key thing to say first is to genuinely do the right thing for your customer, and to be able to be the most sustainable, what you need to do is have a portfolio which allows the customer to choose what's right for them. And in doing so, actively compete with yourself. What I mean by that is if we didn't do filtration systems, we only did mineral water in single use bottles, how could we genuinely try and do the right thing? Having a range approach is the first thing that we do. The second thing is we focus on using recycled materials and light weighting the products that we create. In glass, we've developed a sister business called Ethical Glass where we developed the IP to significantly reduce the weight of the bottles that can take both still and carbonated product. But instead of owning and keeping the IP, secret as most organisations would do, we actually shared that, because our view is if we can become the glass supplier to our competitors and we make a royalty on that, we can then increase the monies that go to WaterAid. And then, very topical space for me would be the plastic space, where since 2012, which makes me start to feel really old, Belu has always promised a minimum of recycled plastic in its plastic bottles, a minimum of 50 percent recycled plastic, because we knew it was possible. The market resisted and said it isn't possible; consumers will reject it. Well, we spent seven years almost and now actually proven that that's not the case. And of course when all of the post Blue Planet impact started to hit the sector and consumers started demanding more, well what we've seen is the market start to move towards that position because the seven years of best practice showing that that's possible. So we're very, very busy looking at 75 and 100 percent recycled plastic in our bottles. There's very different views on what's best, but the key principle we stand behind is recycled plastic bottles are a much lower impact in terms of carbon, a much lower footprint than something like a can or even a glass. And so you should never take decisions in isolation and that plastic isn't the problem, people are. And the problem that people have created, is they're using plastic and discarding it, rather than viewing that waste as a resource and reusing it. That’s why our bottles are made from bottles. It’s why we really love everything that Ellen MacArthur stands behind, in terms of the circular economy and closed-loop recycling, it is something we get really excited about. The thing is, if I'm responsible to traditional shareholders, my job as a CEO is to look at every market opportunity as a money-making opportunity. And of course that's what we see with the anti-plastics movement. We're seeing lots of people happily sell you other products instead, but they won't say, you know, this might solve the ocean plastics problem, but actually your CO2 emissions are going to go through the roof. I mean, we've seen the same happen in the car industry; it was the move from diesel, is these unintended consequences. We need to be aware of them because we don't want to end up in a place with a clean ocean, but no atmosphere. There is often no easy way to be better. Our space is to work with our customers to be really honest about the good and the bad and help them make the right decisions they can, because I don't want the businesses that I supply to become unsustainable because of the choices they feel they'd make because they've been misinformed. So it depends on the target customer and what they care about. And I'll be really honest, we tend to use the language of saying we're looking for partners, not customers. You know, I think it applies in every market. If you win a customer on price, you're going to lose them on price. We try and look for people who care and who value the value that's in our proposition. And so therefore we have a focused brand approach that we want to create a brand that people want to work with so they come and talk to us. Then we're working through "are we the right partner for each other? ", rather than spending lots of energy going out there and selling to the market. Because you know, going back to that value of investing, not spending, the one thing that social enterprises rarely have is big budgets, never mind big budgets we're happy to throw at the market with risk in them. Now up until the last 12 months, the social impact of WaterAid was a really strong point of connection. People get that, they get human stories, they really engage. They struggled, if I'm honest, to get anywhere near as excited as we do about the fact that, as you mentioned earlier, where we are PAS 2060 certified, which means we know our carbon footprint in as much detail as we know our finances, and we're audited. We can show them exactly the difference in this product versus that product. It is a harder subject for potential partners to get excited about, which I think is why the Blue Planet series was so accessible because people connected with it emotionally. So regardless of any confusion it creates when people go off and try and tick boxes and think there are easy ways to change, it's been a massively valuable thing for us. All of our customers and potential customers now want to enter, not just a dialogue, but genuinely they feel there's a responsibility to learn more and make the right decisions. Once we've done both of those things, that we're the best choice environmentally and we've engaged them in our social impact, for us it's been about making sure that as a brand we sit comfortably within their environment. So we have to be premium. As much as we could put a picture of a child in Ethiopia, struggling to collect water on the front of the bottle, it doesn't fit with that environment. I think the magic around Belu has been building a brand that's beautiful inside and out, and it sits in the environment of the customer who we're dependent on to choose Belu, to make sure that the guys in their restaurant are having the most beautiful night ever. I think, being philosophical about, when I found myself unexpectedly as the Chief Executive of Belu, it was suddenly because everything I'd done in my career had purpose, had meaning, and I could apply it. I honestly don't know where I would've started with Belu if I hadn't spent 13 years running P&Ls at different magazines and events, and if I hadn't run large teams, marketing budgets and budgets generally, in Barclays. I don't know where you would start. And actually, that's what I try and work with my mentees initially - how do you simplify all of that into good business models and good sound decision-making. Because I see so many different things and different approaches that don't make sense to me in the marketplace. When I came across Belu it was really clear that the business wasn't sustainable. And the irony in that is when you're trying to focus on sustainability, a planet that's fairer, more inclusive, where everybody can create equality, at least through access to clean water as a starting point. And yet the business model made no sense. It was all of that experience where the penny dropped. I knew how to run businesses. I knew how to look at what wasn't working. I knew how to put it right. And it doesn't mean it was easy, I mean the hard bit for Belu was 2009 to 2010. We literally stopped everything. There were redundancies. We had to stop and redefine the brand. We launched again in 2011 with WaterAid as the partner and probably 2010 was the toughest year and we hadn't even done anything yet. We'd taken forward 1.9 million pounds of legacy debt and the accountability for that. And here we were starting again as a start-up. So I always view those early years as my start-up years and I've always said I will do it again. I'm only just getting round to that now. But everything, every bit of experience of every job that you've ever had will help you. I think the important thing is to also figure out what experience you don't have and make sure that you have that support network initially and then in your team as you move forward. I would say in my early years, we never viewed Belu as a social enterprise and we never used those words. Now that in part was because it was a kind of unannounced and emerging sector. I certainly wasn't aware of it. I wasn't aware that the model I was proposing for Belu was a social enterprise model. And even when we did become aware of Social Enterprise UK (SEUK), who were very keen for us to join, the rest of the sector was like "no Belu is not a social enterprise. Social Enterprise is much more in health and education." This idea of consumer goods being in social enterprise was certainly pretty new in 2011, and SEUK got quite excited, quite quickly, going "this could be it, the way we're going to engage consumers, customers or get people interested in where their pensions are invested, is about making the connection between normal people and what this revolutionary way to do business looks like." So from that point, I've always been a huge fan of SEUK. We've seen, going from a handful of social enterprises like ourselves, Divine, Jamie Oliver's Fifteen restaurant, to now seeing Stand4 Socks or From Babies With Love, The Soap Co. We’ve started to see much more brands develop in this space, which is great, but it's still not enough. I, like everybody particularly now in the UK political landscape, we're frustrated. There's no time for anyone to focus on anything other than Brexit, and as a concept, or as a reality, is certainly making everyone who runs a business's life harder. But that breakthrough moment of media and people getting it, I think we're still to have. I think it's building and getting people in a position where they can move beyond their personal, "am I okay? Is this cheapest for me?" culture and into conscious buying, conscious engagement with brands and seeing through what might be ‘tactical marketing’, versus what is a genuine values-led business. I think this is something that we will have its time. We certainly won't have it yet. I certainly don't think 2019 is going to be a good year for consumers to get engaged at scale, but I think we've got to try anyway. But what's most important is that as social enterprises, particularly here in the UK, just get our heads down, accept the difficulties that are in our world right now and try harder and be smarter regardless. It's one of the things that I get really grumpy about myself actually, and I think it's a double-edged sword. So firstly, as social enterprises, I think we've got two jobs to do. One is to be successful in ourselves. The second is move the bar generally influencing all businesses to try better and try harder, so we should not kick anybody who is trying to do their bit. As a Chief Exec of a standard business with shareholders, if I do something good, if I increase my social impact and reduce my environmental impact, great, let's do it, let's applaud that. But don't market yourself as a social enterprise. I think the bit we need to get much clearer about is what does make a social enterprise and where do we draw the line? What must you do to carry that? Another area of risk is where people build a business as a social enterprise and trade brilliantly. They might be doing amazing things, but actually they could then sell that business, it could remain with that brand position in the market and it no longer delivers on that impact. So for me, asset locking is a very important space and I think Social Enterprise UK has a job to do. It's increasingly difficult, they're a small organisation with very limited resources, typical social enterprise, but doing amazing work. And actually we're on a mission to make sure we start to make this really clear, so where are we being inclusive in terms of a social enterprise movement and now that can include advocates and supporters too. But we must make really clear that there is no confusion between what is a social enterprise and what is a promotion that looks like a social enterprise or a business masquerading as a social enterprise. And in fact, there have been cases referred to trading standards and I think increasingly that will be the case. Because entrepreneurs all over the world and in the UK get very motivated about making money around an opportunity. So the more successful social enterprise becomes as a way to drive trading revenue, the more at risk our sector will be, and the more careful we need to be. And in fact, there have been cases referred to trading standards, and I think increasingly that will be the case. Because entrepreneurs all over the world and in the UK get very motivated about making money around an opportunity. So the more successful social enterprise becomes as a way to drive trading revenue, the more at risk our sector will be, and the more careful we need to be. Oh, can I talk about my mentees here? Because it's always good to give some of them a plug, and actually, I work with them because they inspire me. Belu is a really busy job. It's sometimes a really stressful role as all CEO roles are, I'm sure in social enterprise, for profit, whatever your sector. I love mentoring, it's just the way I remind myself how easy my world is versus when we were at the starting point. I try and get my team involved with them wherever I can. We had a team day last year and we got over the lovely Joanna who runs Juta Shoes. Juta Shoes is an amazing social enterprise created on the employability model, creating employment for marginalised women in London. But the bit I like about the model is instead of creating work by teaching these ladies to make shoes, what Joanna's doing is teaching these ladies to teach us to make shoes. So my team and I got to make our own shoes in a workshop and it was just the most incredible experience and it was lovely. That would definitely be on my favourite list. I love Rubies in the Rubble. Belu serves the hotel and restaurant market and Rubies in the Rubble basically diverts what would become food waste. Actually they've got an amazing vegan mayo, and relishes, ketchups and chutneys. So it’s about buying those products that taste amazing, that you were going to buy anyway, but engaging with a brand that has got doing good at it's heart. And they're also a member of Social Enterprise UK. I'm not sure if you've come across Josh from Stand4 Socks. We all need socks, so buy some socks that make a difference. Jamal from Change Please, a cup of coffee that makes a difference and creates employment opportunities for those who were previously homeless. The list goes on and on. I just love the fact that we are in a time where we should be saying, as consumers, those of us who've got it and are supportive of the sector, is "if I can't buy something that I need right now from a social enterprise, made by a enterprise, isn't it about time that I started a social enterprise that does that?" So here's the bit where I confess that I only really read on holiday. But from a podcast point of view, I'm the biggest fan of Reasons to be Cheerful. I guess you've probably figured out by now that I'm an optimist, I like to translate that into action, and I really struggle with the amount of debate that's going on currently that I see as wasted energy where it's not going anywhere. I find something really reassuring about the fact that Reasons to be Cheerful with Ed Miliband & Geoff Lloyd addresses some hot topics and tricky issues, but in a really positive way and adntidressing things like how to think differently, or brands or products or companies that are addressing a problem differently. And we were lucky enough actually to make a podcast. I can't remember what number it was, but you can Google Belu and Reasons to be Cheerful. If you want to hear more about Belu, that will be a good place to start. You can contact Karen on LinkedIn or Twitter. Please feel free to leave comments below.